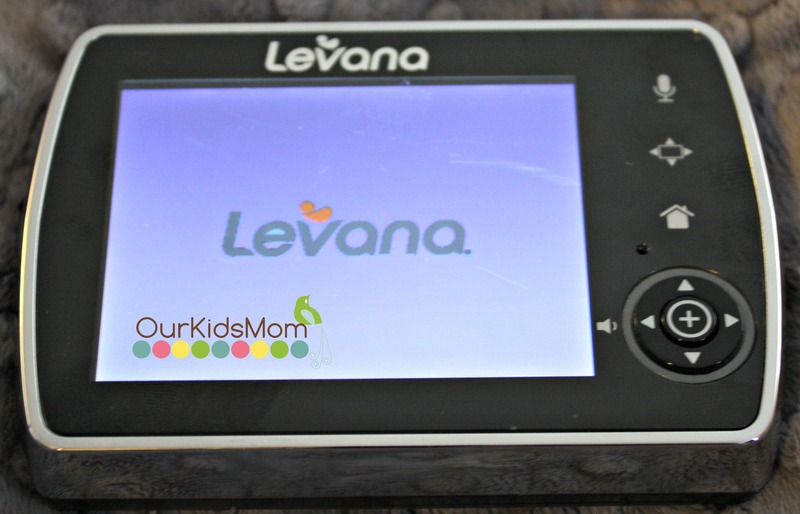 I received the Levana Keera Baby Monitor to review. The Keera is a 2 camera set with cameras that pan, tilt, zoom, record video, and capture pictures. It seems like this monitor has it all. Taking it out of the box the first thing I noticed is it didn’t come with an instruction booklet. I had to go online, find and download the instructions. Installation is pretty simple… put your battery in the back of your monitor, find where you want to place your cameras whether on a shelf or mounted on the wall, then your ready to go. I find that the camera cords aren’t very long, so you do need to be close to a plug in. The monitor has a lot of options in the menu, so it took me awhile to play around with the options and figure them out. The control arrow buttons I find are hard to use. I don’t know if maybe I have sausage fingers, but when I’m trying to control the volume it always zooms in or out. I do find myself wanting to touch the screen and wish that this was an option. The picture is pretty clear on the 3.5″ screen. 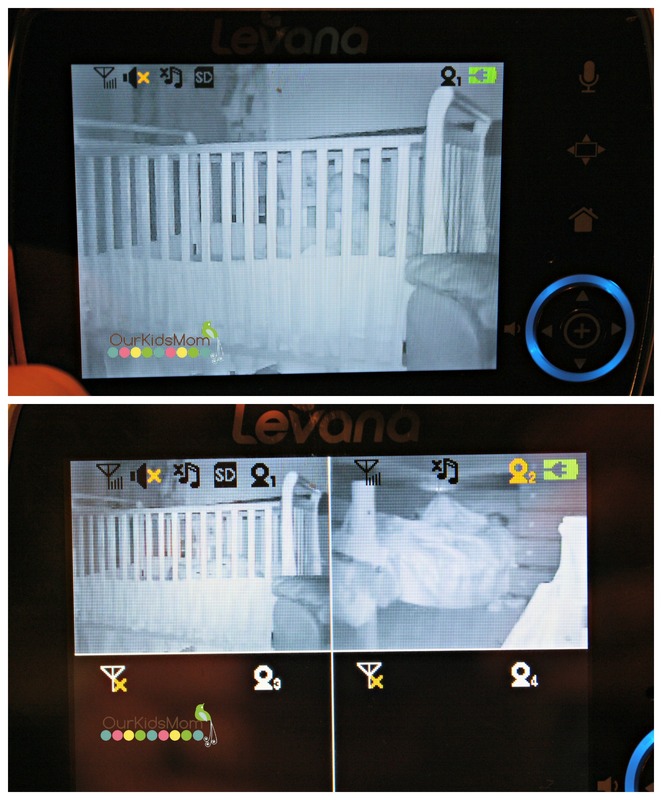 I do like that at night there is no red circle of LED lights staring at your baby… the Keera has invisible LEDs. I love the pan and tilt feature of this camera. You can change the angle horizontally by 300º and vertically from the center position 110º. There is no sound at all when you are adjusting the angle of the camera, so no worries of waking your baby when changing the angle. – 3 pre programed lullabies. – Peep Mode, is triggered after 45 seconds of inactivity the screen turns off. Then back on when sound is detected. – Max Transmission Rang 750ft. However I find just around the house the signal comes and goes inconsistently. I do like that this monitor comes with the capability to capture pictures and record video. 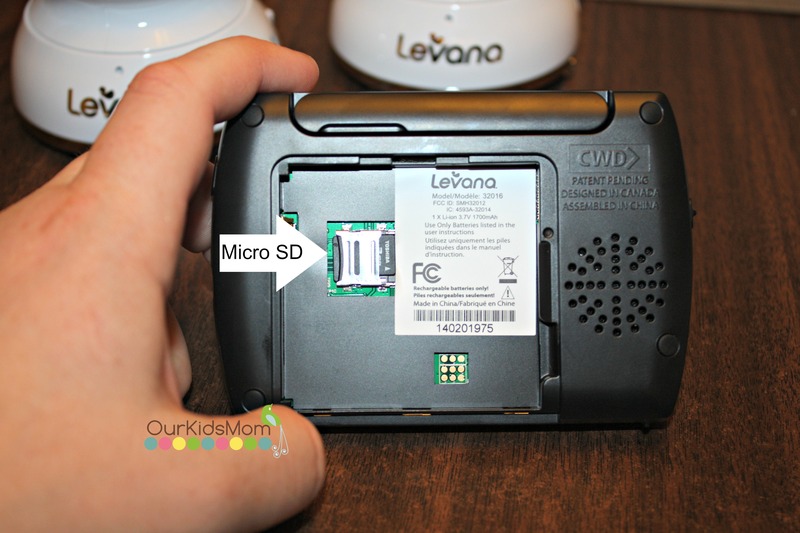 The Keera comes with a 2GB micro SD card that is in the back of the monitor to store your recordings. To view your recordings you have the option to view on the monitor or you can remove the micro SD card and use the SD card adapter and view on your computer. 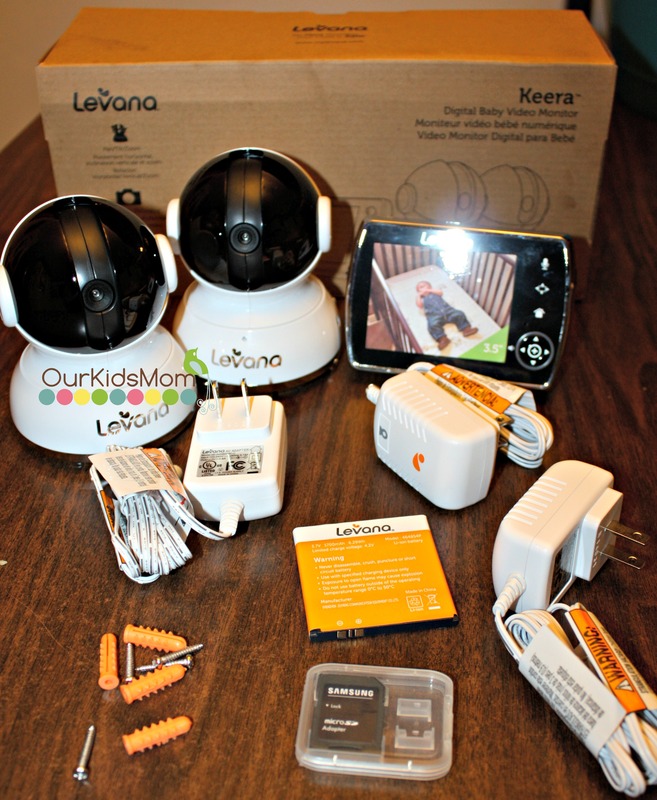 Overall I think that the Keera Baby Monitor has loads of great features and options that are packed within a nice compact monitor. However I would love to see the control buttons easier to use, and the signal between the monitor and camera get stronger and more reliable. The selling feature for me would definitely be the great pan, tilt, and zoom. 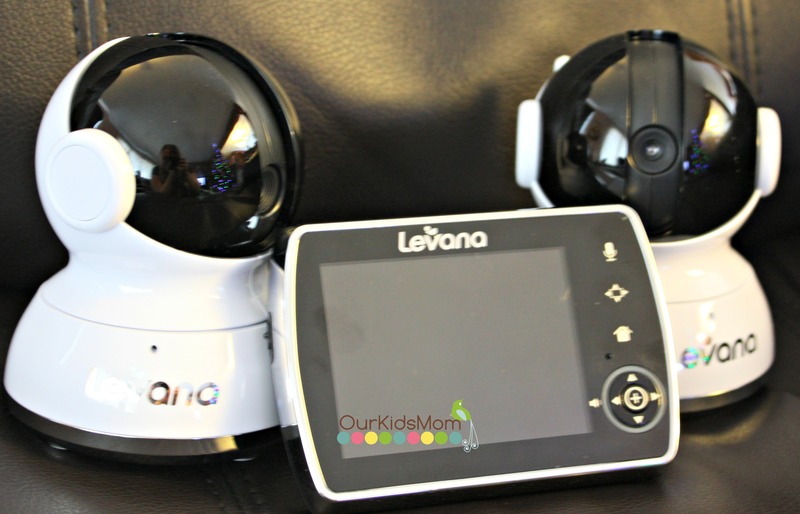 Head over to www.mylevana.com and check out all the great baby monitors to keep you sleeping peacefully knowing you have an eye on your baby no matter what time it is. My neice just had a beautiful baby boy a few minutes after midnight on Christmas Day. I bet she would LOVE this! This looks like a huge help! Thank you! OMG! I am just amazed at how fast and far technology improves seemingly overnight! There was nothing remotely like this when I had my son, but I wish there had been. This is really awesome. This looks really nice. 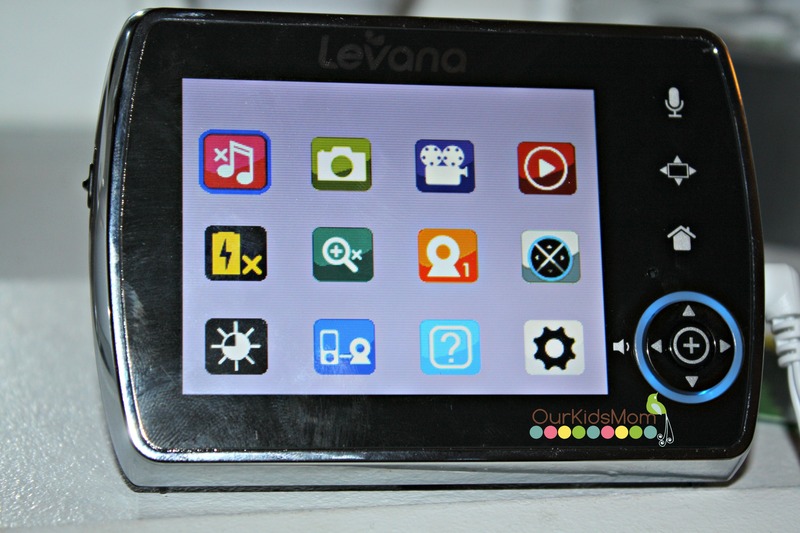 I like that it has 3 pre programed lullabies and that you can also capture pictures and record videos. This would be great to have. 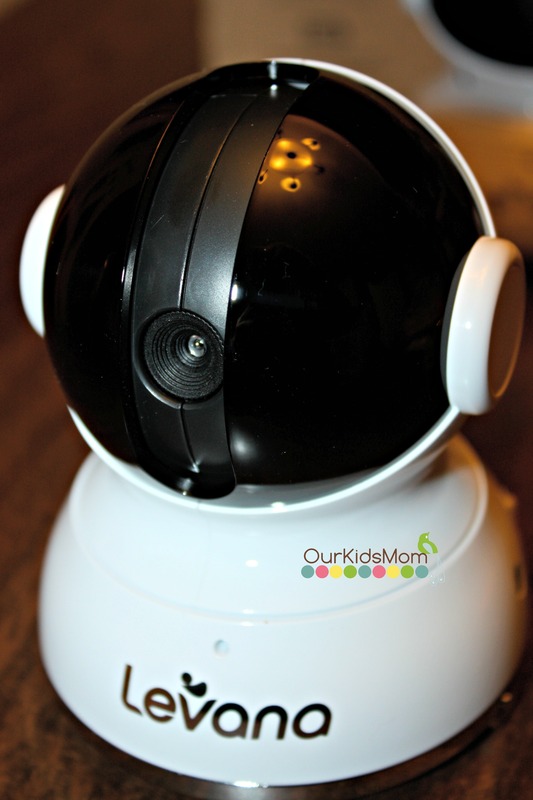 I would have loved a video baby monitor like this when my kids were small. What an awesome technology and I especially love that Peep Mode.